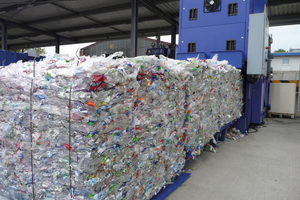 Economical and environmentally friendly – the requirements for modern recycling technology are clearly formulated. Strautmann Umwelttechnik GmbH uses exactly these strengths with the BaleTainer, a fully automatic baler for paper, cardboard and PET bottles. 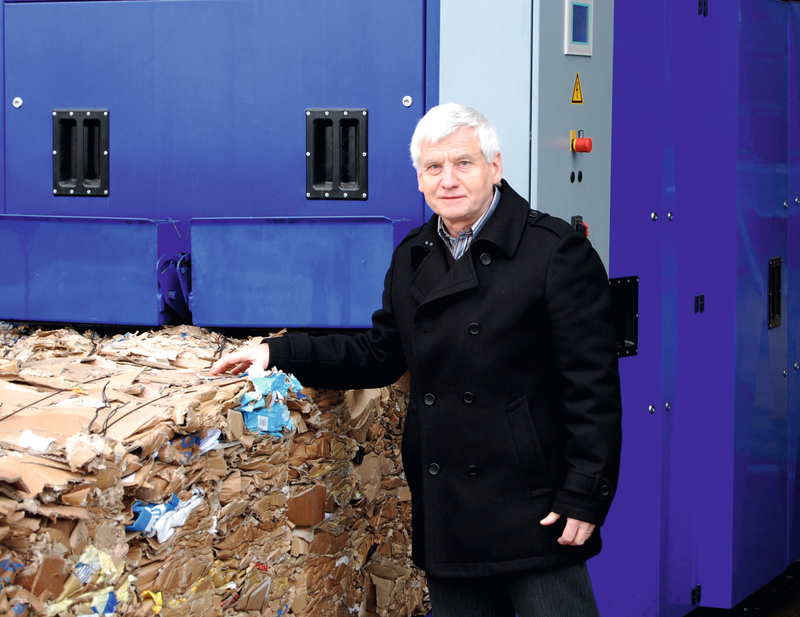 The company from Glandorf/Germany has developed the product. 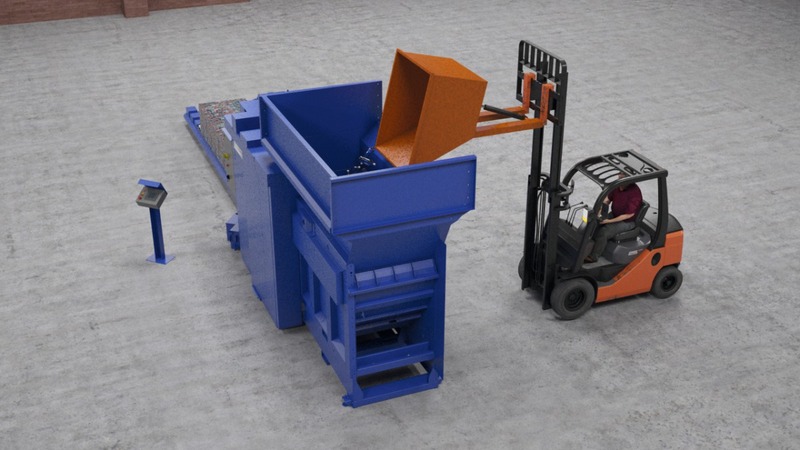 Whether by hand, by conveyor belt, by forklift or a wall connection, large and bulky recyclables can be conveniently thrown into the baler. 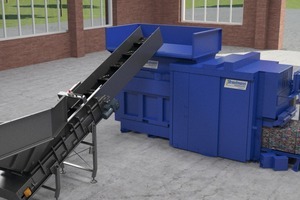 Effortlessly the BaleTainer devours the material, which is conveyed by a swingarm to the rotor, into the baling chamber. With a press force of 600 kN the recycables are compacted into 450 kg heavy bales. 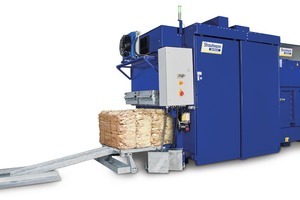 The bales are tied of full automatically and can so sold to recyclers or paper mills. 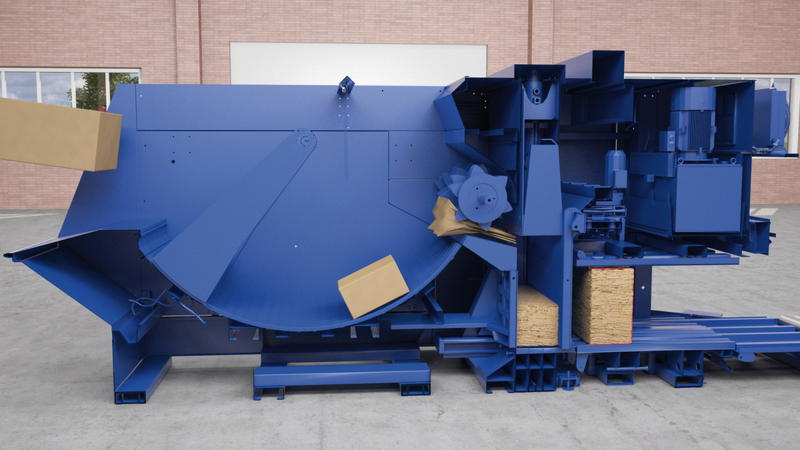 The compact design of the fully automatic baler allows an internal installation directly at the source of material. 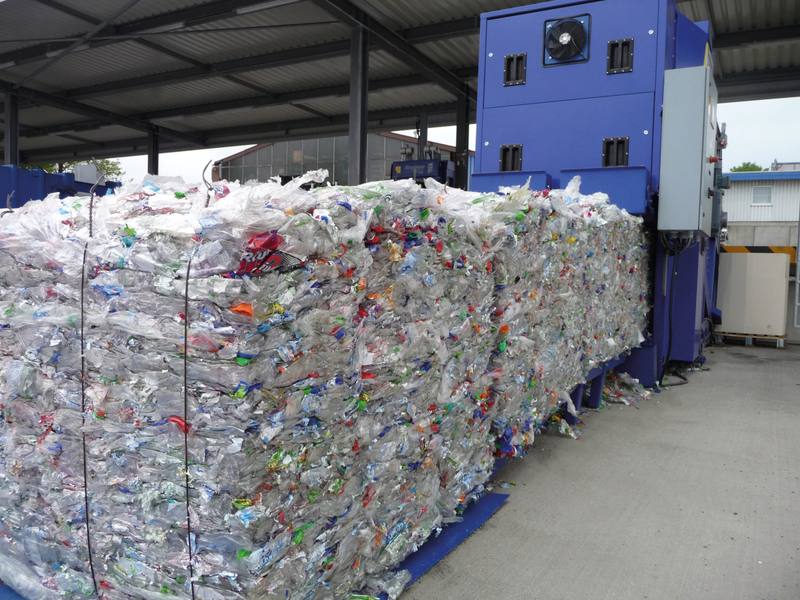 The staff do not have to take long walkways to the outside just for disposal. 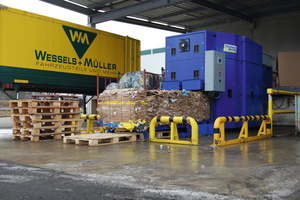 The well-known vehicle parts wholesaler Wessels +Müller AG from Osnabrück is also convinced of the BaleTainer. In the past, cardboard boxes were distributed to several press containers that have been rented. Trucks brought the slightly compacted material to the disposer, where the material was further compacted. 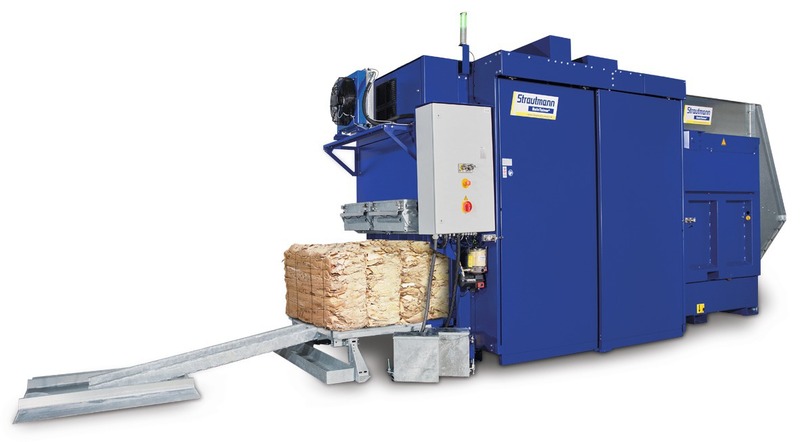 After this long process the bale was transported to the paper mill. It was a cost intensive detour. 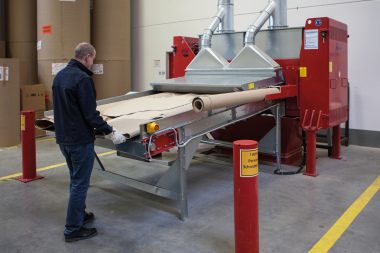 The new solution directly at the source of material reduces the daily volume of 6 t cardboard up to 90 %. 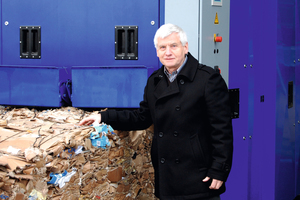 Direct marketable bales made a profitable disposal possible. “The decision for the BaleTainer was made because of its unique economy. In less than two years the investment has paid off. 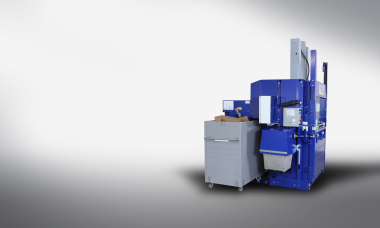 The baleware from the BaleTainer is in great demand on the paper market and brings us the highest revenues,” says Manfred Stahl from Wessels+Müller AG. 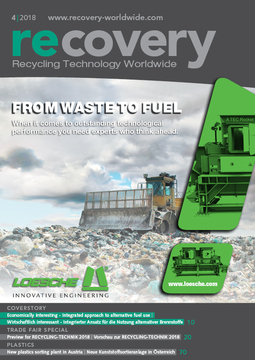 The WM AG a market leader in vehicle parts wholesale delivers 45 million automotive parts per year. 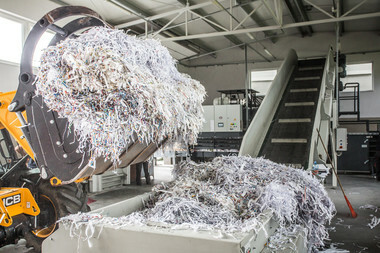 Goods are picked all around the clock in the central warehouse. 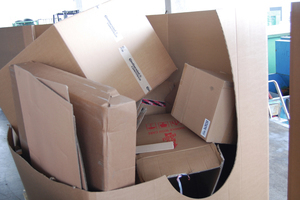 Most parts are unpacked before being stored. 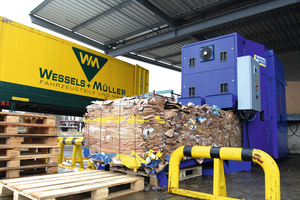 This means that more than 500 t of cardboard are produced each year. How does the BaleTainer achieve this unique result? 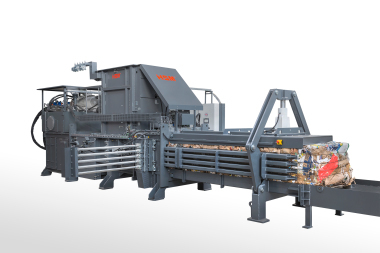 Behind this is a special baling concept: a bale is not made in one piece but in three or four slices. 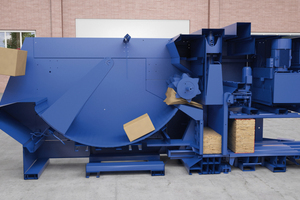 Thanks to it’s compact machine design the baler can be set up directly at the source of material during operation. 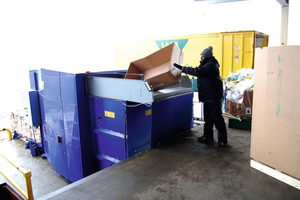 Disposal is weather-independent and the time and costs for long transport ways to the outside are reduced. 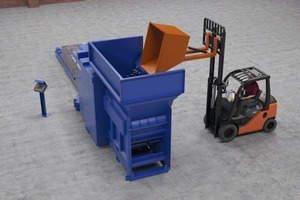 Internal logistics are improved and ramps are free for the core business. 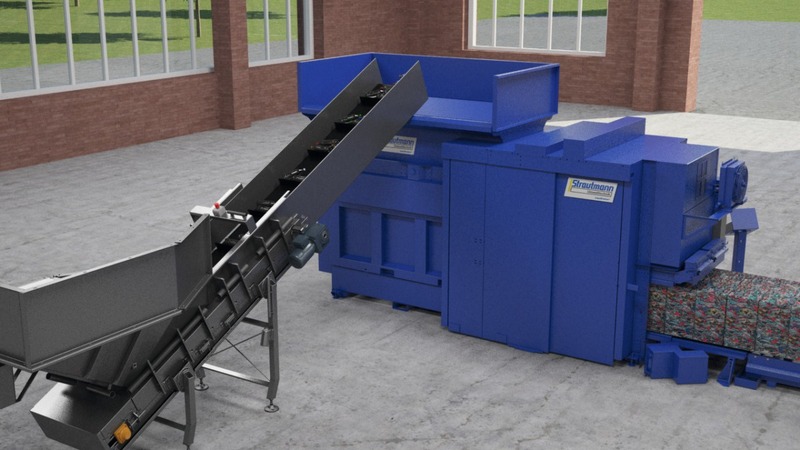 The highest revenues are achieved by selling the BaleTainer bales directly to paper mills and recyclers and by using a full truck load of 24 t which significantly reduces the transport costs. 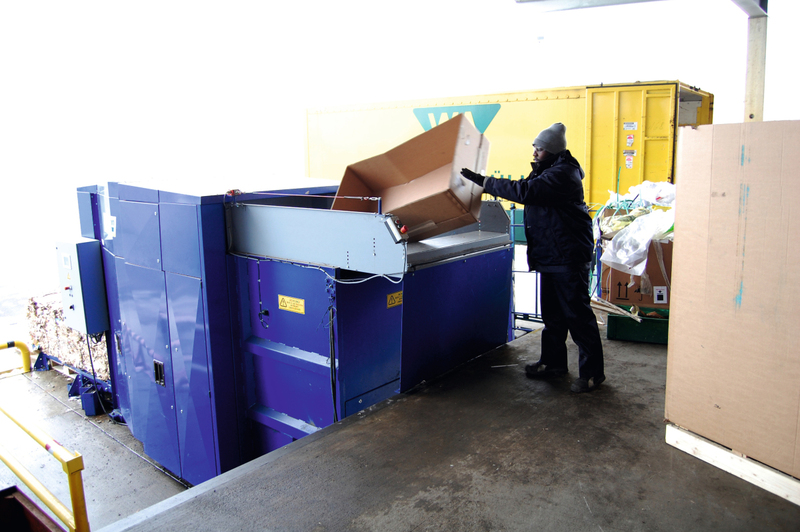 Disposal become more environmentally friendly and economical.